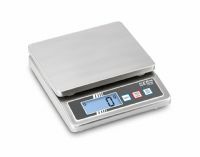 This wide range of precision balances from Oneweigh by Ohaus, Adam Equipment, A&D Instruments and Shinko, offers high quality, accurate and repeatable laboratory balances and scales to suit every budget. From portable battery powered scales, to top pan balances, mechanical balances, and precision scales we have every application covered, With literally hundreds of models available of all capcitiies and resolutions no matter what the job, you will find the scale for you right here. The manufacturers we work closely with all have excellent global reputations. Buy a precision balance you can trust from Oneweigh today! We have selected a range of digital precision balances perfect for everyday laboratory weighing needs. Suitable for a huge variety of educational, healthcare, industrial and pharmaceutical weighing applications, we offer a good combination of features and high level performance to suit most budgets. Standard applications include counting, % weighing, below balance weighing, animal weighing and density functions, with full tare and selectable weighing units. 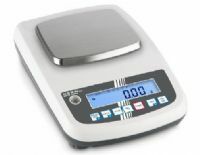 Advances in technology and lower manufacturing costs in recent years means that even those with the tightest budgets, such as schools, hospitals, universities and other government facilities can benefit from the very best precision balances, laboratory scales and top pan balances, both battery and mains powered.